The boat has been on the hard at its current location for an extended period, and the engines haven't been run for a while, they will likely need a little attention. The seating and some of the gauges in the helm area will need addressing due to exposure to the elements. This boat appears to be sound and has all the bones to finish bringing her back to her original beauty. She will need some TLC, mostly cosmetic, but for the right buyer, this could be an excellent investment. The Owner stated that all offers are entertained. Stock #169206 NEW HULL & BOTTOM PAINT, GENSET & A/C" Twin Crusader 350s -270HP engines! 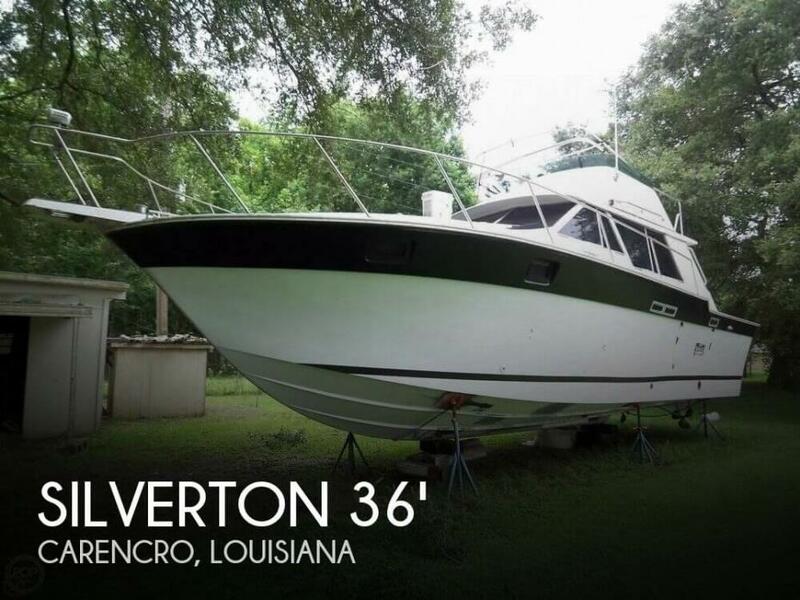 If you are in the market for a sportfish/convertible boat, look no further than this 1985 Silverton 34 Convertible, just reduced to $15,000 (offers encouraged). 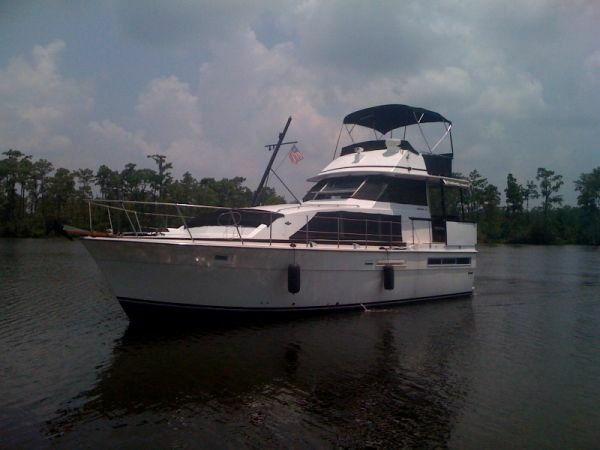 This vessel is located in Carencro, Louisiana and is in need of some work. She is also equipped with twin Crusader engines. Reason for selling is no longer using the boat. Some maintenance records are available... Per seller: New generator in 2009. New manifolds and risers in 2017. Bottom job 10/18. Port engine carb needs attention. Should be done before inspections... Stock #169831 This vessel was SOLD on March 26. 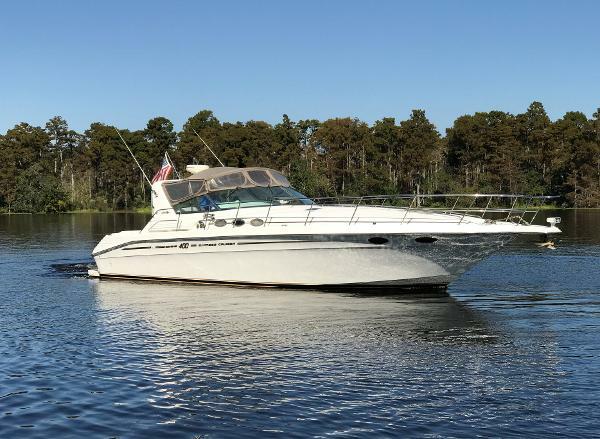 If you are in the market for a motoryacht, look no further than this 1980 Chris-Craft 410 Commander, just reduced to $27,900 (offers encouraged). 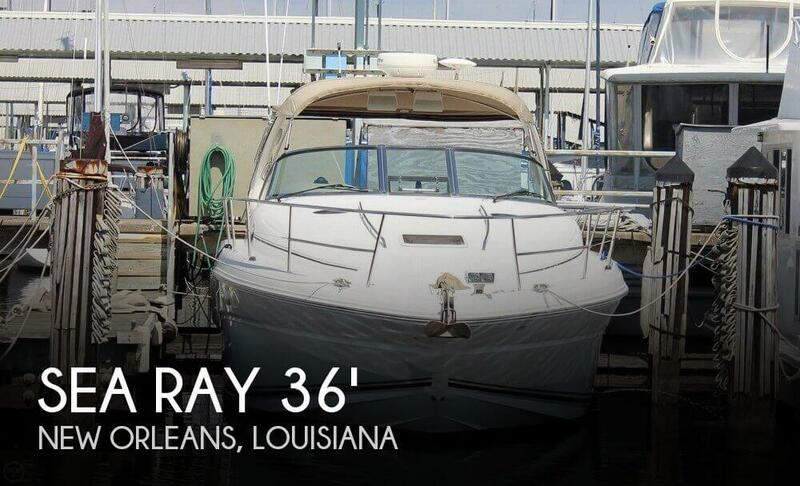 This vessel is located in Lake Charles, Louisiana and is in good condition. She is also equipped with twin Crusader engines. Per the Seller: Both engines were recently rebuilt and have less than 100 hours. 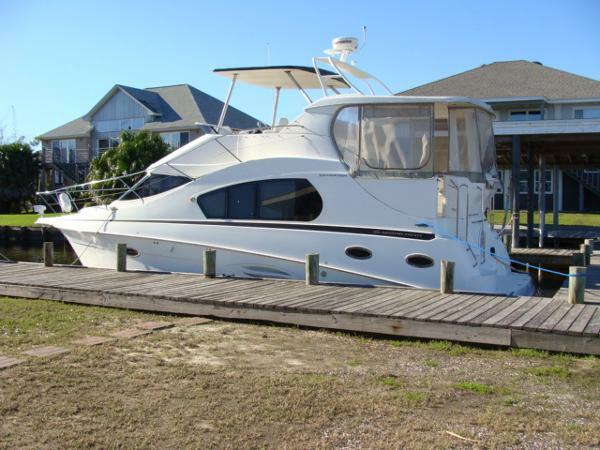 - The bimini and frame are brand new. - The Grey water tank has been removed. - The stove safety switch needs replacing. 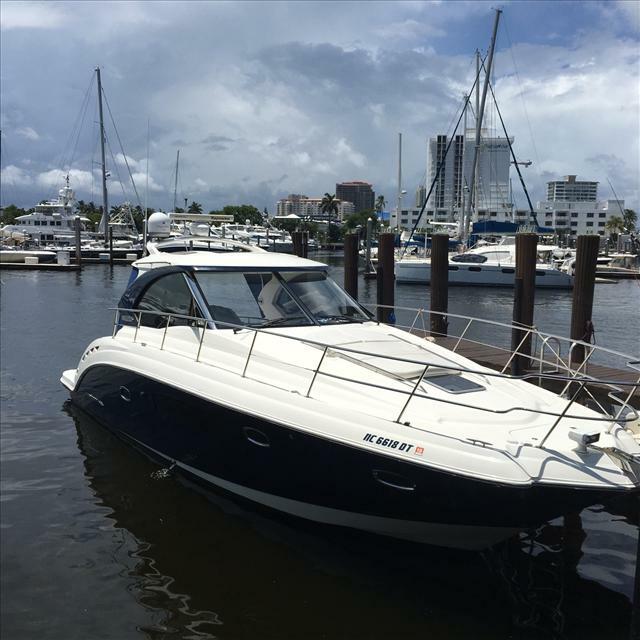 - The generator runs briefly but shuts down (suspected low oil switch) - The cushions on the flybridge require recovering. - Upholstery inside is all in great shape. Stock #164454 Very nice 1988 Carver Santego with twin crusaders! Well maintained and ready to hit the water! 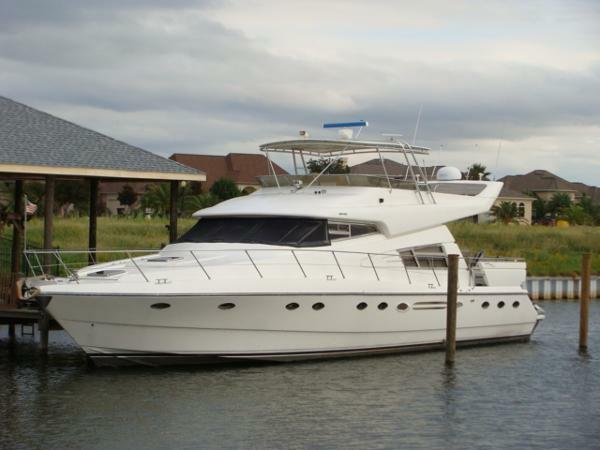 If you are in the market for a motoryacht, look no further than this 1988 Carver 38 Santego, just reduced to $25,000 (offers encouraged). 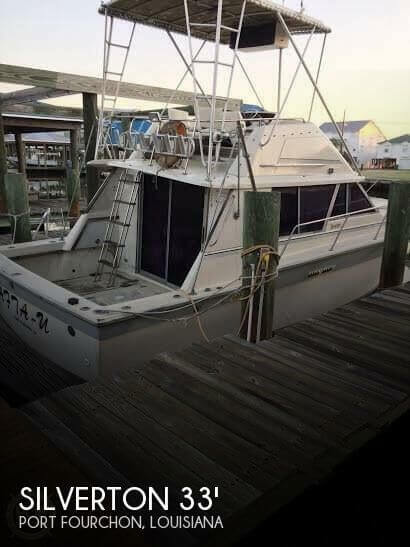 This vessel is located in Delcambre, Louisiana and is in decent condition. She is also equipped with twin Crusader engines that have 1,060 hours. 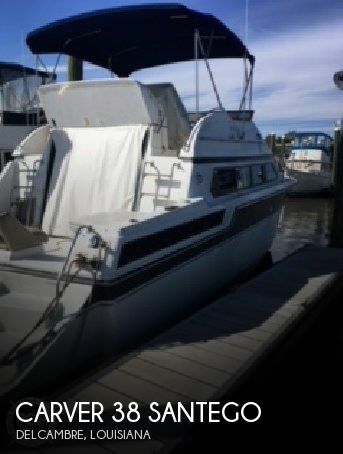 Reason for selling is owner retiring from boating. 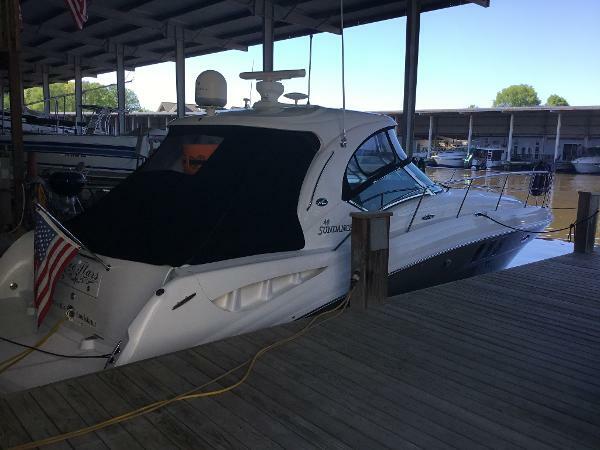 2010 Chaparral 400 Premiere, This is a loaded low hour freshwater use until May 2016 boat that has always been kept under cover. She is powered by twin Volvo Pod drive IPS 600 diesels with joystick control which will run up to 43 MPH and cruise at 30 getting over a mile to the gallon. The generator is a 9kw Kohler diesel to power all the amenities the boat has. There is an oil changer for the engines and generator. In the cabin there are 2 separate AC units that cool the Salon and 2 staterooms. There are 2 heads with the master stateroom having a separate shower and head across the boat from each other. The forward stateroom is spacious due to the electric fold in the foot of the bed and the wide tech hull design. The Galley includes a convection oven, dual burner stove, large capacity refrigerator with separate freezer, central vacuum, and custom dinnerware. 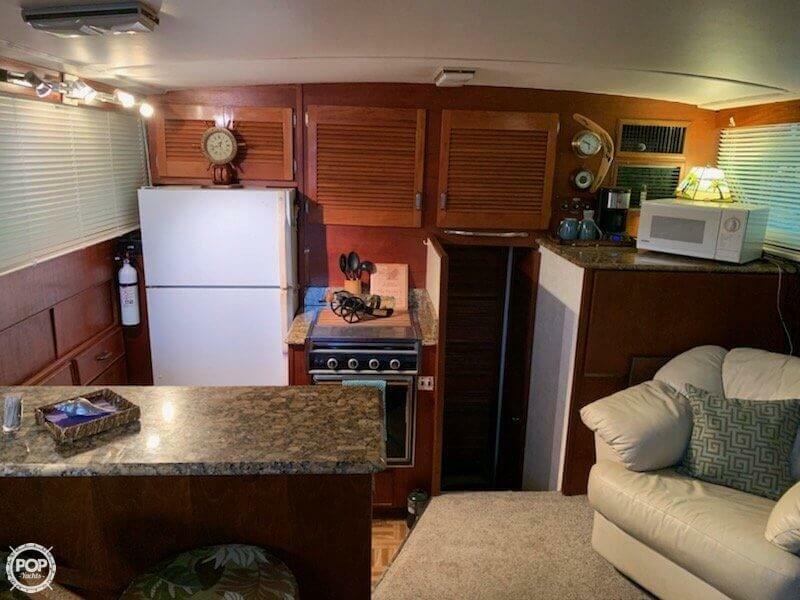 There is a satellite TV system for all 4 TVs on the boat and in the cockpit there is an AC to blow cool air under the hardtop with full height safety glass windshield, electric grill, TV with lift system, and refrigerator. There are 2 electric side window vents and an electric retractable sunroof as well. At the helm is the joystick control, Raymarine E120 color display which has an open array radar, sounder, chart plotter, and sat weather. On the stern is an electric reclining lounge seat, underwater lights and a hydraulic swim platform for loading a dinghy. On the bow is a Lounge cushion with backrests, ACR spotlight, and windlass with delta anchor. 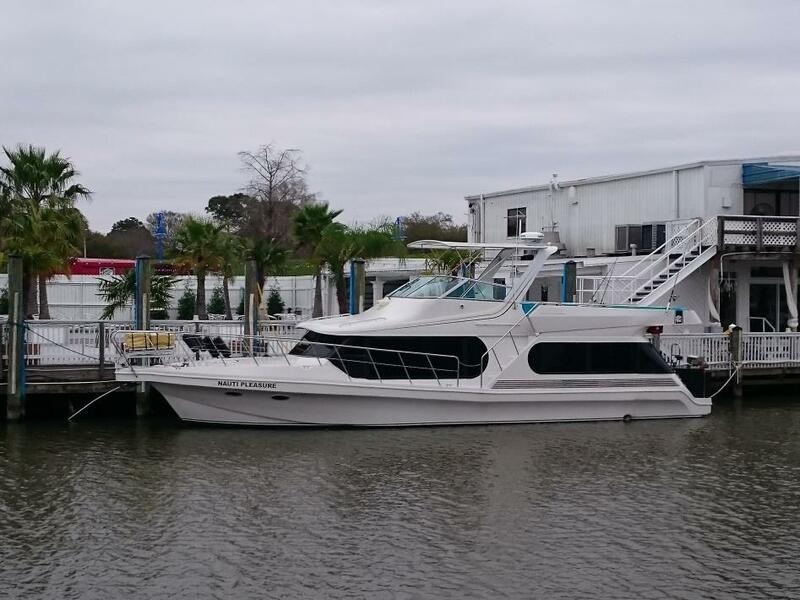 This boat is very comfortable for cruising and overnighting on multiple day trips. The boat has fresh bottom paint and prop speed on the props. Please call Greg Bent to discuss or make arrangements to see this boat. 2006 Marquis 65 2006 MARQUIS 65, This 65 Marquis shines with inspiration. Walk on board, enter through the contour glass sliding doors and you're instantly amazed. The attention to detail is impeccable. Your eyes scan the unbelievable spaciousness of a single floor plan that merges seamlessly into the galley and formal dining area, for a second, you feel like you have just entered a 90 ft. yacht. Welcome to Foxy Lady!! $1,199,000. 2007 Silverton 35 Motor Yacht The Silverton 352 is known for having an extremely spacious interior and a few other unique features that set her apart from your standard 35' aft cabin motor yacht. The expansive salon dimensions are accomplished by removing traditional sidewalks to the foredeck broadening the salon beam over four feet. Here the dinette serves as an opposing salon couch and the well appointed galley are all in the same room. Large side windows and forward windshield over the galley give this motor yacht an open an airy feeling usually found on much larger vessels. The split stateroom floor-plan makes it easier for overnight trips when noisy guests or children are at opposite end of the boat. The master has an en suite head with separate shower and a second head forward serves as a day head with split shower to starboard. Pocket style doors in aft stateroom and head create more usable space. A satin cherry finish on all cabinetry and joinery work complement the ultra leather sofas. Salon couch converts to extra bed in 3 seconds. Designer accents and fabrics throughout lend just the right touch of class without being overdone. Aft deck has built in sofa with storage base, wet-bar and elevated boarding platform with safety rail. Molded fiberglass steps to swim platform and bridge are not the only things that make it easy to get around on this vessel. The innovative SideWalk from bridge to fore-deck saves time with line handling because you don't have to go aft first before going to the bow as with traditional motor yachts. This vessel has very low hours 125 and new bottom Job 12/15 and new batteries 1/16. Great Boat, Good Electronics, Excellent Buy. Hit print this one is worth seeing. 1975 Bertram 42 Motor Yacht Bertram's flush deck Motor Yacht Design was so popular they built it for 14 years. Utilizing the deep-sea fishing hull molds for the Motor Yacht was a true home run in the Marine industry. Seaworthy stability, safety and comfort in a classy clean vessel are traits marine engineers strive for still today. To find one remarkably clean is a true pleasure. The owner is a Licensed Pilot for ships in Mississippi River and loves his boats. AMORE' is one of those mechanically sound, well cared for vessels. A genuine reflection of her namesake. Owner ready to move up and make a deal for someone to do so. PRICE REDUCED! Aft Deck Teak Flooring (covered), New Bimini Top At Flybridge, New Aft Hardtop recessed Lighting and New Hardtop Headliner for the underside. 1992 High-Tech Euro Blue Moon is a sleek and classy Sport-yacht with a European feel. Vessel marketed in US as High-Tech 65 Euro. Large and spacious interior feel found only on larger yachts is enhanced by salon, galley, lower pilothouse and dinette all being on the same level. Large windows throughout and sliding aft deck door and glass aft bulkhead lends to the open feeling. The natural lighting on the light ash interior woodwork makes an unspoken statement in class and elegance. Four staterooms include crews quarters and queen berths in both the Master and VIP staterooms. Clean and Comfortable accommodations throughout include Ladies Stations and roomy heads. One would think that the compromise for space would be the engine room and that is not the case with an easy access walk-in engine room. Wide open aft deck has a protective bridge overhang in case the sun becomes a little too much. Easy access swim-platform is a hydraulic lift making it easier to dive or launch dingy. 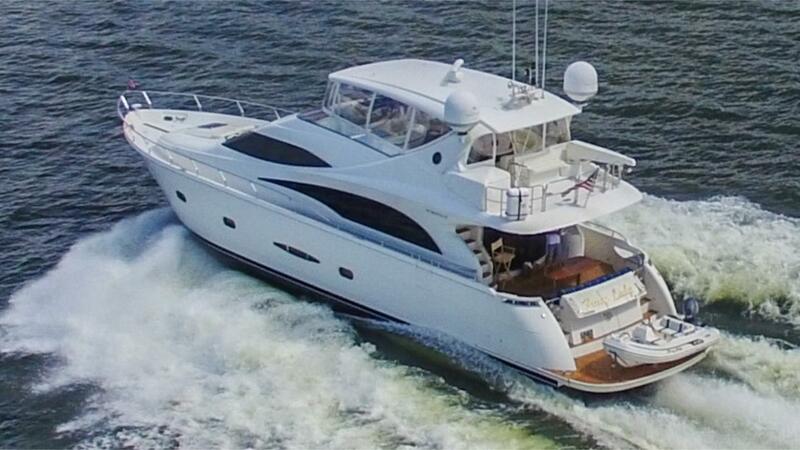 Bang for the buck, the High-Tech Euro has the amenities of a larger motor yacht at a more comfortable price. Hit Print this one is worth seeing. 1989 Mainship Grand Salon The Mainship 41 Grand Salon is a Euro style cruiser. This design had an emphasis on a mega volume interior and flybridge, with the salon taking up almost two thirds of the boat (6.8 head room). A very wide beam with doors on both port and starboard, which leads to a very wide walk around area. 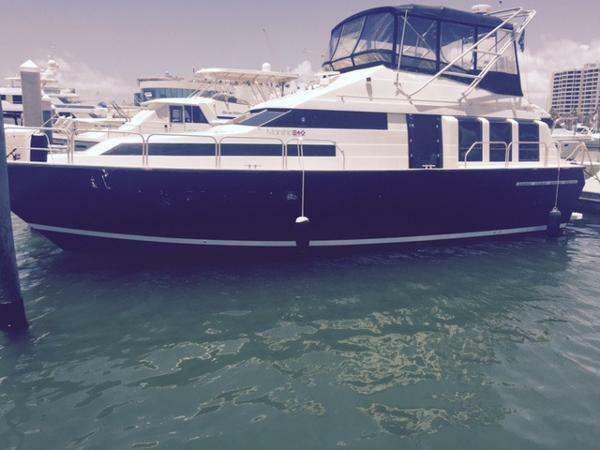 The flybridge has access via the stern and can seat eight comfortably. Powered by 454 crusaders (300hp), she has a cruising speed around 17 knots and top-end around 25 knots. 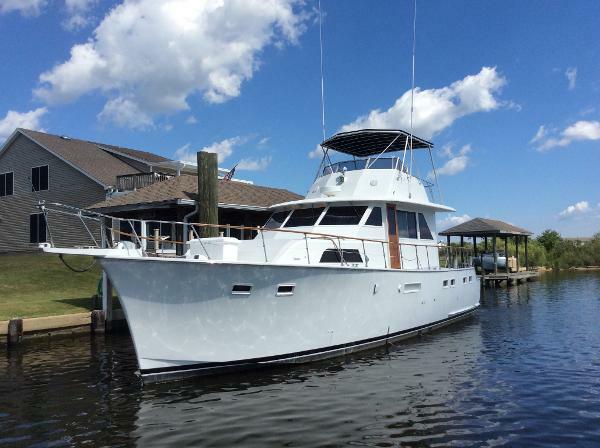 This vessel is in great condition and well maintained .